Living Room by Decorilla Interior Designer, Renata P.
So, you’re excited and eager to start your new home adventure and have decided to hire an interior designer. You have made a great choice, but now you have to be sure that the designer you hire, is going to be the right one for you and your home. This can feel daunting, but don’t let uncertainty put a damper on your dream! 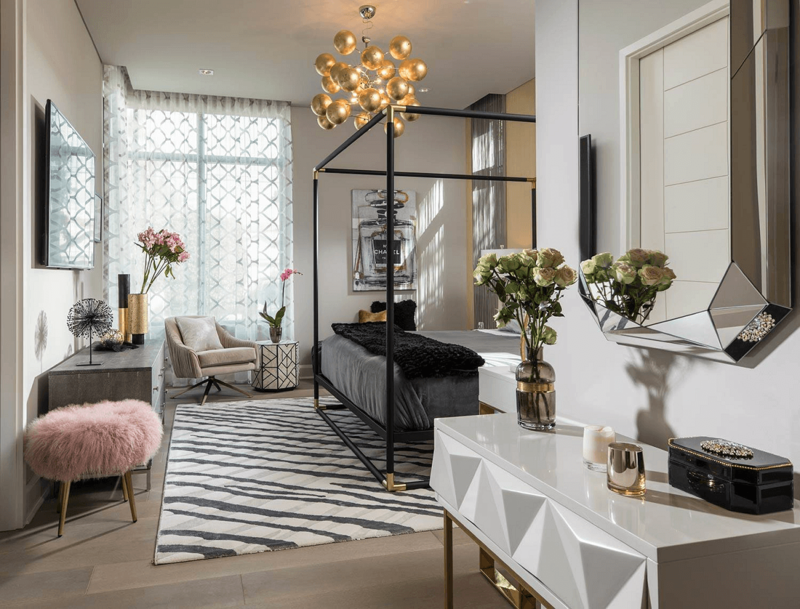 Read on to see the 10 essential questions to ask before hiring an interior designer to make the process easier on you. 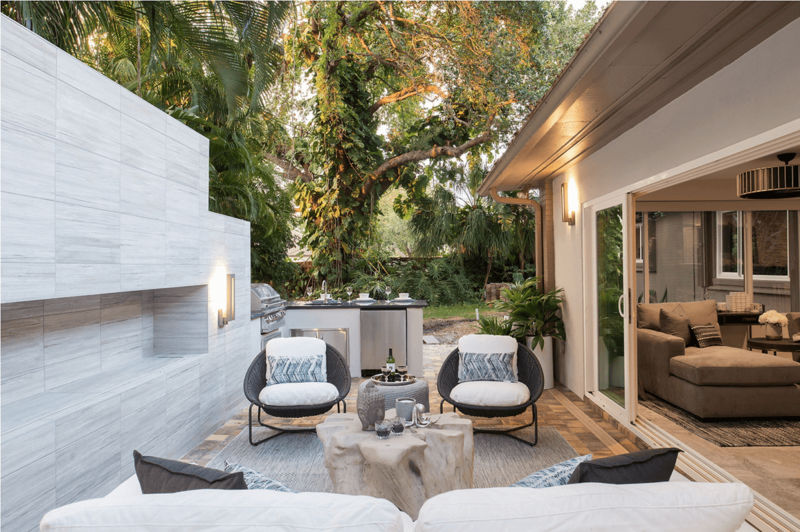 Patio by Decorilla Interior Designer, Stella P.
First, before you dive straight into looking for your dream designer, there are a few things you need to consider. A prepared client, that’s the future you, makes the interior design process easy, fun, and above all, successful. Most importantly, once you’ve done your homework, you will have a clear idea of what your home needs and that makes finding interior design help a lot simpler. Check out these helpful resources if you have some questions about the cost of hiring an interior designer as well. Bedroom by Decorilla Interior Designer, Joseph G.
Stop and think about how much you can spend, not how much you want to spend. Be realistic and honest with yourself. Setting up a proper budget is the most important part of the whole process. Jot down your income and how much you can afford to spend per month. If you don’t have enough funds yet, create a savings-plan and keep an eye out for affordable interior design services. Once the project starts, you can keep track of the expenses with a project tracker app. Home Office by Decorilla Interior Designer, Corine M.
Second only to the budget is how much time you can set aside for the project. The scale of your interior makeover will need a specific amount of time. So, be reasonable. 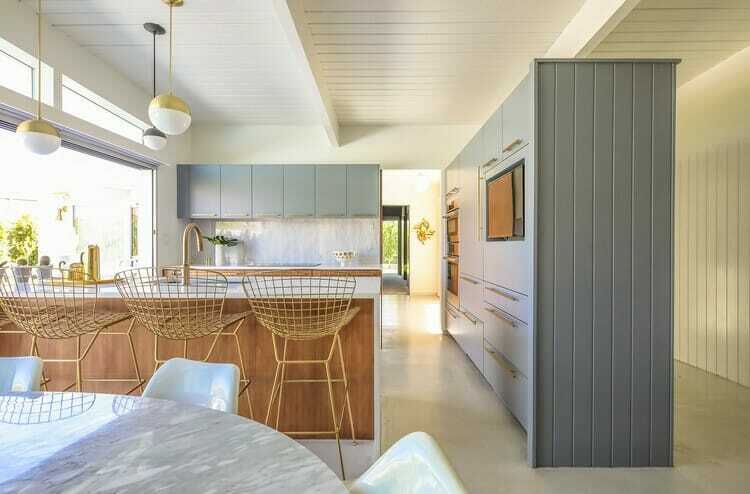 A large-scale home-renovation will require a big chunk of time and careful planning. Maybe you even have to live somewhere else temporarily. One-room upgrades can range from one day to a week-long project so be prepared to give up your creature comforts for that long. First, you need to decide if you want to hire interior designer online, or have an interior designer come into your home. Consider where you want the interior design help. If you’re planning layout changes, plumbing, lighting relocation, and electrical rewiring may be necessary, and that will increase the cost. An experienced interior designer can do the layout of these services for you and help you find the right contractors for the job. Think about how you want your home to look. Use the rest of the house as a reference for a one-room revamp so that the result is not out of place. 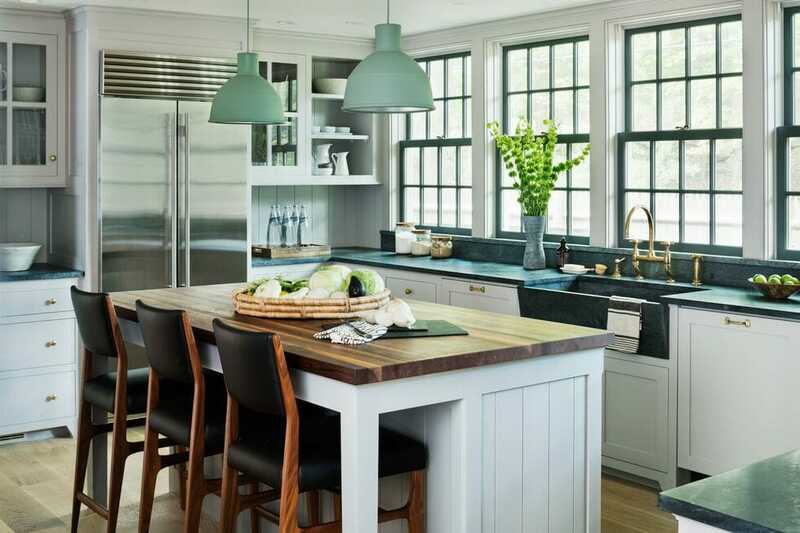 If you don’t know what your style is, collect images of homes that inspire you online or in magazines. This will assist your designer in putting together the right look for your room or home. You can also start with the one piece in your home that you really like and would like to incorporate in your new design. This could be anything from a rug to a painting or scatter cushion. Design by Decorilla Interior Designer, Michelle B. Finally, put together an inspiration folder. Save all your favorite interior styles, color palettes, finishes, furniture, and layouts. Pinterest can be an excellent platform for collecting ideas. If you’re only updating one room, stick to images of similar rooms. Design by Decorilla Interior Designer, Roberto D.
1) What are your references & credentials? Ensure that who you hire has legitimate references and credentials. If the budget is limited, you can consider hiring an inexperienced interior designer, but be sure to double check their references and work examples. 2) What interior design services do you offer? 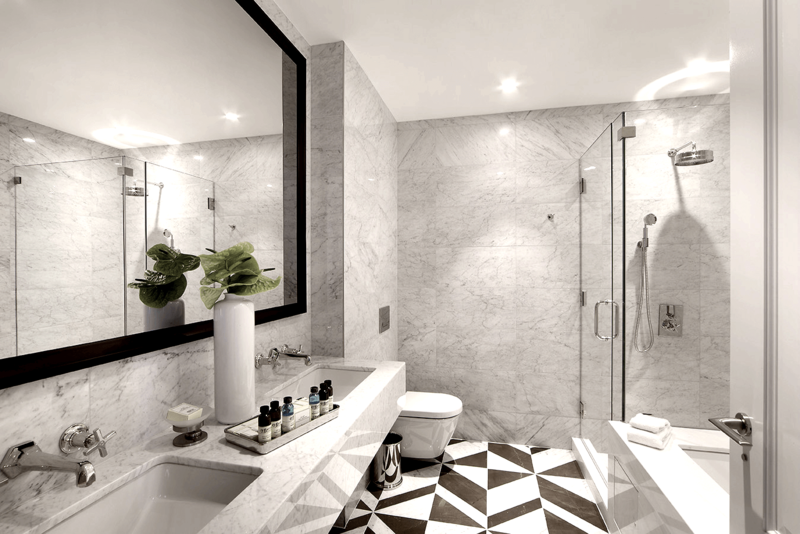 Bathroom by Decorilla Interior Designer, Joseph G.
3) How do you structure your interior design projects? How the designer structures a project will give you an indication of their time management as well as what to expect from the process. It is a good idea to start with an initial consultation, and then to discuss fees before jumping into the design process. The designer should also first present a concept before the details of the design are finalized. 4) How do you charge? 5) Can you recommend contractors? If the designer has an established relationship with contractors, you may get a discount. Even when there is no discount; a designer that can recommend great contractors, is an asset. They say that you are only as good as your last project, so the work of a great contractor is essential to a designer’s reputation. 6) Have you done similar projects? This is how you learn how experienced the prospective designer is. If your looking to hire interior designer for apartment design, it would be beneficial to see other apartments the designer has completed. If they have worked on similar projects, you may request a before, in-process and after photo to see whether you like the outcome. 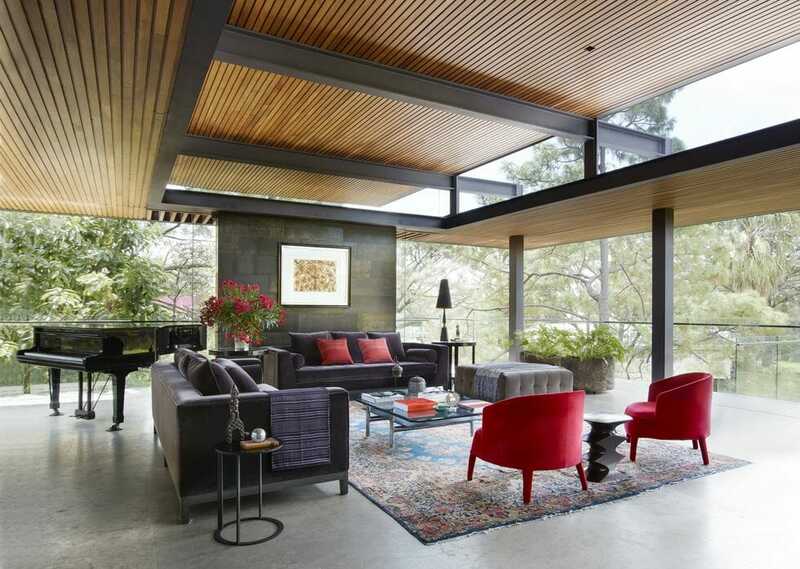 7) What is your favorite interior design style? Determining their style preference is crucial because even though an interior designer should be able to work in any style that a client wants, it’s not always the result. If the designer’s styles match yours, the whole process will be much smoother. Design by Decorilla Interior Designer, Kelli E.
8) What was your most recent interior design project? You can delve a little deeper and ask for a sneak peek of the project. The designer’s most recent project will give you an idea of whether the designer uses the latest in design trends and innovation. You may also ask for a reference from the last client to see if they were happy with the designer’s work. Bedroom by Decorilla Interior Designer, Renata P.
9) What are your interior design must-haves? 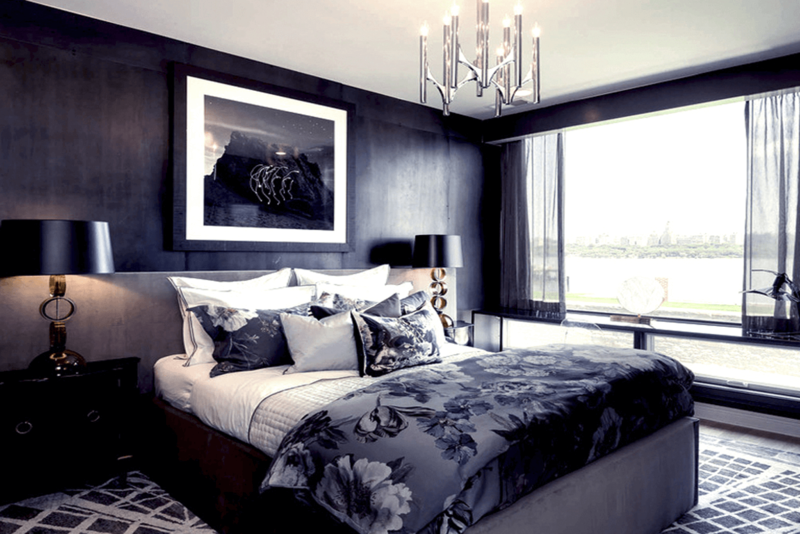 This is a little bit of a test to get an idea of the interior designer’s intuition and whether their natural style will suit your taste and lifestyle. Some designers believe that you have to use a neutral palette or certain wood types, while others believe in color and stone. This will also give you an indication of the level of the detail your designer goes into. Still lost? 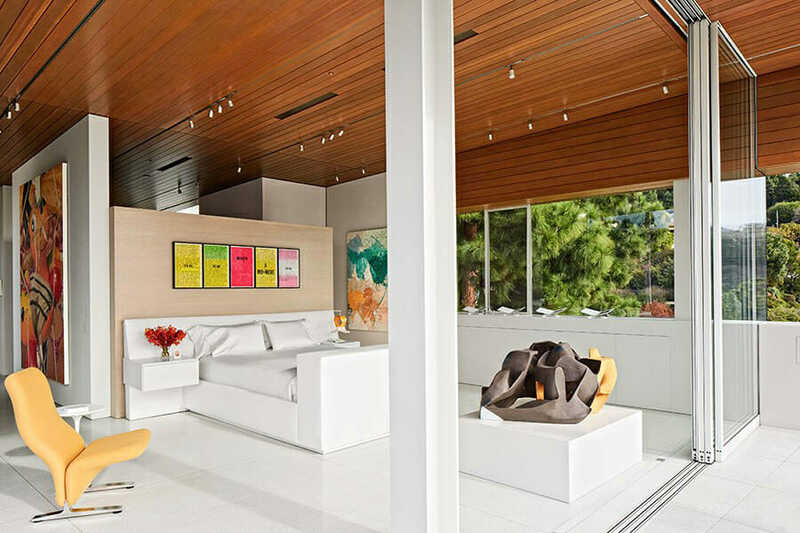 Here are some more questions to ask before you hire an interior designer for your home. 10) How can I live better in my home? Don’t be too hard on the designer with this vague question. The aim of finding out how to live better is to see if the designer knows what is on the market. Their response will indicate whether they are knowledgeable on the innovation front, especially regarding smart living. Now that you know how to hire an interior designer you are ready to get started on your dream home! Online interior designers are at your service at a click of a button! 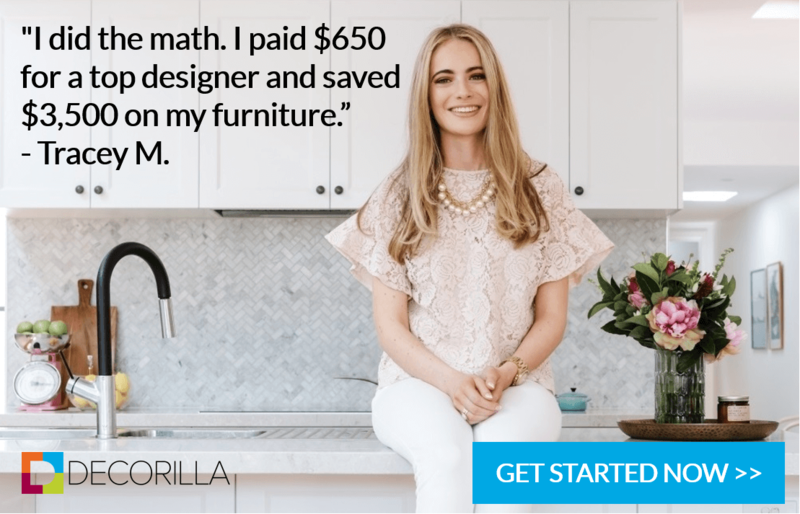 Schedule a free consultation with Decorilla today!